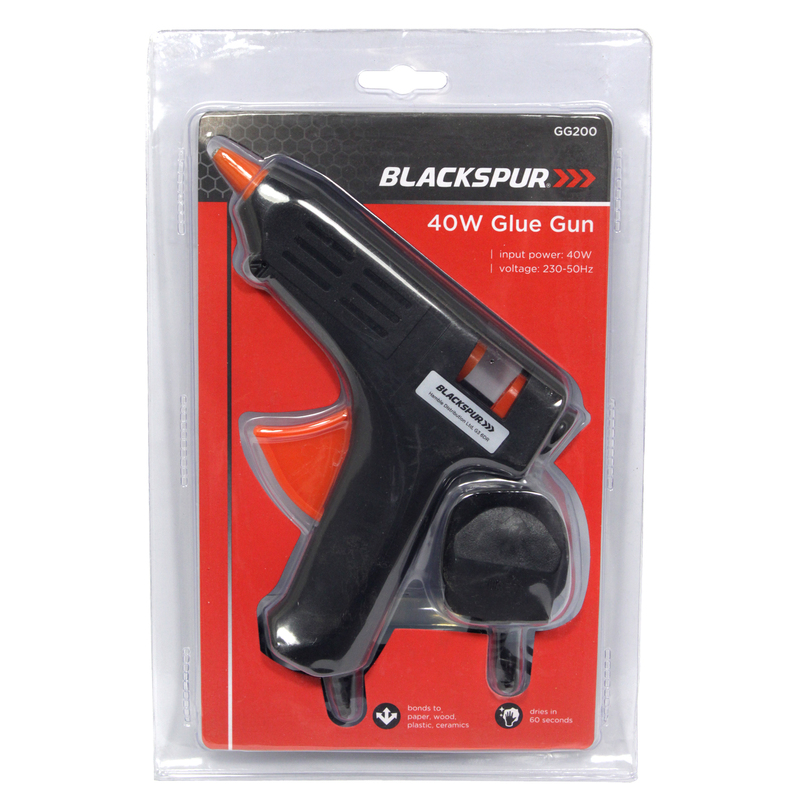 Blackspur 20w Hot Melt Glue Gun is a easy to handle DIY sized Hot Melt Glue Gun. It Bonds to paper, wood, plastic and ceramics. It also Dries in 60 seconds!